What are “Career assessments” and “Interest Inventories"? 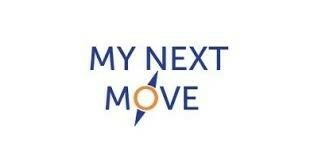 Career assessments and interest inventories are tools you can use to explore your career options. They do not magically tell you “what you should be when you grow up” but they can be quite useful in your career decision making. These tools will evaluate your personality, interests, and work habits in a variety of environments and help you think about how your values or interests might match some specific career fields. Salisbury University’s Office of Career Services offers several of the most popular assessments that you can take on-line for free. Taking these assessments can be helpful, but to get the most out of the experience, upon completion of the assessment you should schedule an appointment to talk with a member of the Career Services team for a more personal and comprehensive evaluation of your career options and plans. Developed by E.K. Strong, a psychologist, this is a career self-assessment tool that measures your interests and helps you evaluate potential careers or your college major. It was, The goal of this assessment is to give insight you’re your interests and how they may translate into a career. 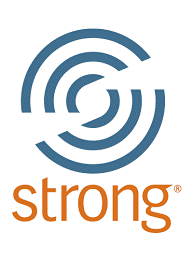 Please contact Career Services to obtain a username and password to access the Strong. Upon completion of the assessment, please schedule your appointment with Mr. Endicott. FOCUS 2 CAREER guides you through a reliable, intuitive career & education decision making model to help you choose a major, explore occupations, and make informed career decisions. Cutting edge design helps engage you in the career planning process and plan for and achieve career success throughout their lifetime. Simply go to FOCUS 2 CAREER Website and Enter the FOCUS 2 Access Code: "sammy" to begin. MyPlan.com helps you plan for a more fulfilling life by helping you make well-informed decisions about your education and career. Whether you’re choosing a major or planning ahead for your first career, MyPlan.com can help you explore options and bring clarity and insight into figuring out what’s right for you. Simply go to MyPlan.com Website and Enter the Code: "EDN8VKVA" to begin. 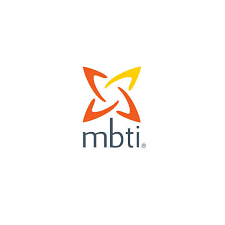 The purpose of the Myers-Briggs Type Indicator® (MBTI®) personality inventory is to make the theory of psychological types described by C. G. Jung understandable and useful in people's lives. To take the MBTI, please Contact Career Services to setup your MBTI assessment. Completing the Clifton Strengths online talent assessment is your way to discover what you naturally do best, learn how to develop your greatest talents. You can use your customized results to live your best life. Career Services is currently in the pilot phase of offering this assessment. We are able to offer a limited number each semester on a first come, first served basis. Estimated Time To Complete: This assessment takes approximately 60 to 90 minutes to complete. To take this assessment, please contact Kevin Fallon. Upon completion of the assessment, please schedule your appointment with Kevin Fallon. Mr. Fallon is Salisbury University’s designated Strengths Coach.